Pariston Hill is a triple star hunter and ex-vice chairman of the Hunter Association. He also used to be one of the Zodiacs whose codename is "the Rat." Similar to Ging, he did not alter his physical appearance to match his animal. 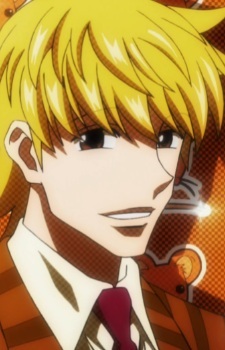 Pariston is a skilled politician and is attempting to secure the seat of Chairman. In the 13th Hunter Chairman Election arc, he wins the election because Gon chooses him (the reason is that Gon knows Leorio wants to be a doctor). In the end, he gives his position to Cheadle and leaves the Zodiacs to join Beyond Netero's expedition!